Angela Gunn is an infosecurity professional with nearly a decade of experience at companies such as Microsoft, Hewlett Packard Enterprise, and BAE Systems. Her current role focuses on incident response and readiness, with a healthy sideline in explaining to executives, developers, bug hunters, and compliance folk why we must all hang together or all hang separately. 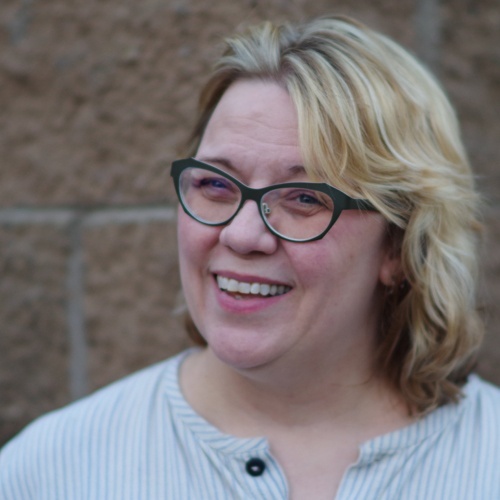 Before that, she was a tech journalist covering the cybersecurity circus, including Software Development Lifecycle issues, threat modeling, privacy and data breaches, and nearly two decades of Next Big Things. Back when paper was a thing, she launched two tech publications and wrote several books currently sitting proudly in the OMG I LEARNED HTML FROM THAT! section of your favorite local used bookstore. DevOps folk: Ever feel like security experts would prefer cars with two brakes and no gas pedal? Security folk: Convinced that DevOps is an excuse to joyride over your last good nerve? Let's work for 30 minutes on finding better ways to coordinate our efforts behind the wheel.